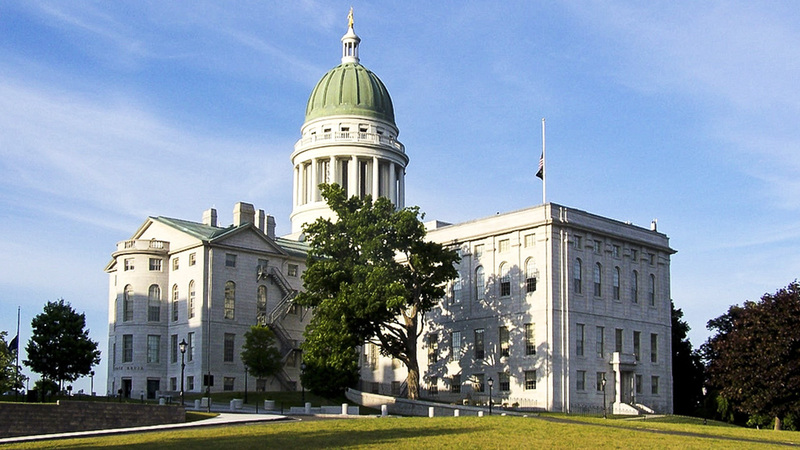 The original Maine State House and Capitol grounds were designed by Charles Bulfinch and built between 1829 and 1832. 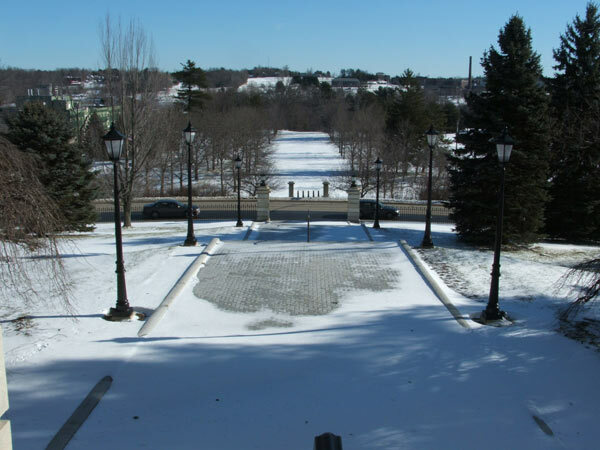 Bulfinch’s landscape plan showed three terraced ovals surrounding the building, with trees delineating the edge of the terraces. A major re-design and enlargement in 1909-1910 led to significant expansion of the building footprint and subsequent removal of the terraces on each side of the building; the front portico and terraces facing Capitol Park remain intact. 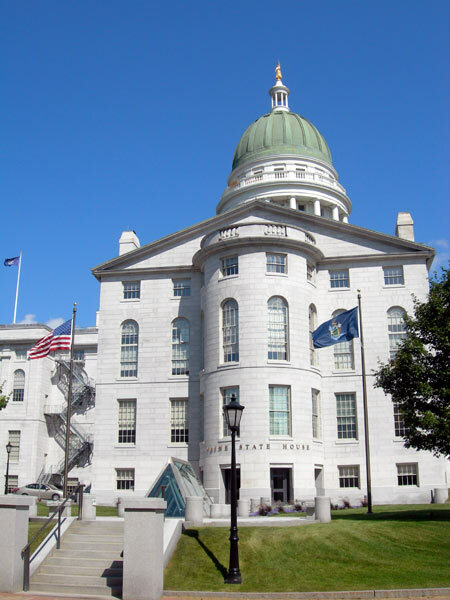 In 1920, the same year that Maine celebrated the 100th anniversary of its separation from Massachusetts, Governor Carl Milliken moved into the newly remodeled Governor’s Mansion adjacent to the State House. 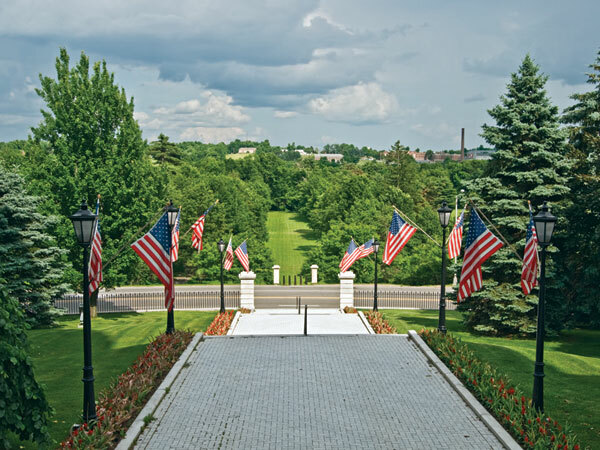 He commissioned Olmsted Brothers, represented by Carl Rust Parker, to prepare plans for improving and uniting the grounds of the Governor’s Mansion, State House, and Capitol Park. The firm completed designs in 1920 and consulted sporadically until about 1929. 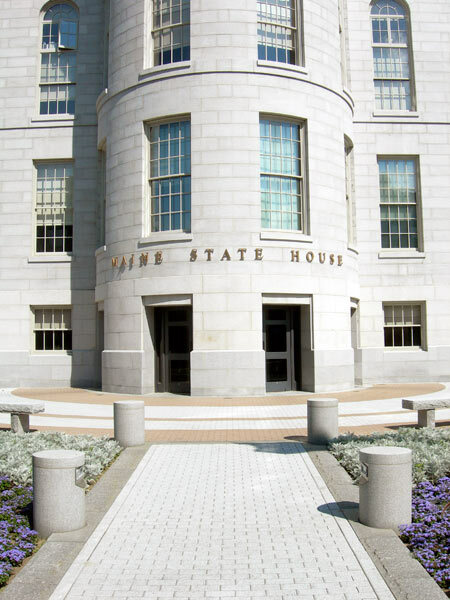 At the State House, Parker proposed relatively minor landscape improvements, which left the remaining Bulfinch terraces intact, revised planting, relocated drives, and suggested new paths to State Street. Only parts of the plan were implemented. 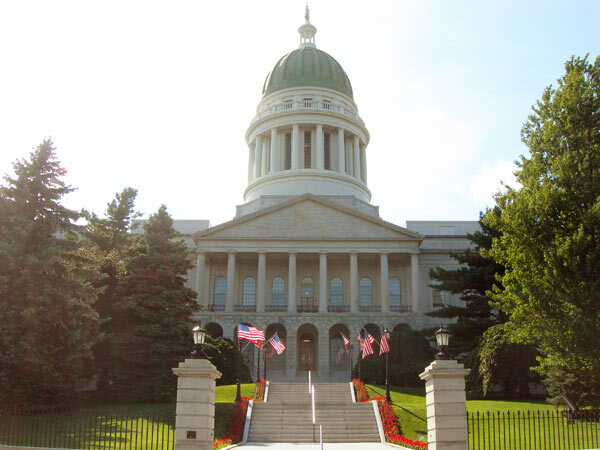 Major landscape rehabilitation of the Capitol grounds began in 1994 and included improved drainage, reconstruction of the extensive granite retaining wall that encircles the State House on three sides, and restoration of the iron fence on top of the wall based on original castings. 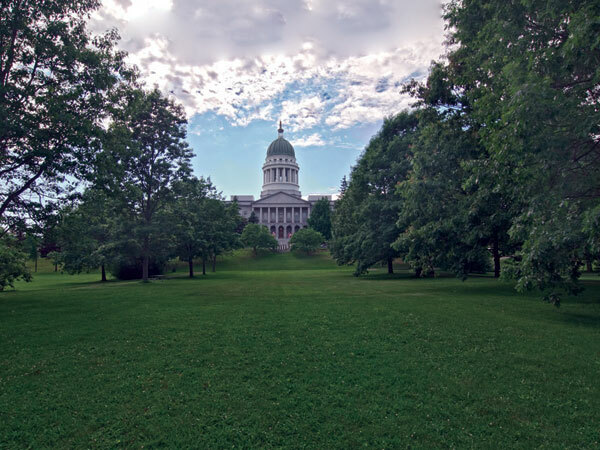 The Capitol Complex Historic District was listed in the National Register of Historic Places in 2001.